Dr. Lupin is board certified by the American Board of Obstetrics and Gynecology. He was awarded his medical degree from Tulane University School of Medicine in his hometown of New Orleans, and completed his residency at Bronx Municipal Medical Center. 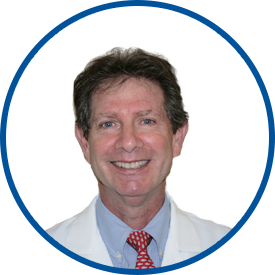 He is an attending physician and director of the OB/GYN Department at White Plains Hospital. Dr. Lupin performs many minimally invasive surgical procedures and practices all aspects of gynecologic care, including issues related to menopause and hormonal abnormalities. He manages both routine and high-risk obstetrical cases. He is affiliated with the following professional societies as: Fellow, American College of Obstetrics and Gynecology, and member, Westchester County OB/GYN Society, Westchester County Medical Society and Medical Society of the State of New York. Dr. Lupin has been part of our local medical community since 1983 and joined Westmed Medical Group in April 2010. I had a high risk pregnancy. And though *Dr. Lupin is not my primary Ob/Gyn., he was quite invested in my care & outcome. Dr. lupin was very caring during a difficult situation. He is the chief and he delivered my baby. He is very professional. Dr. Lupin is very caring, tolerant, informative and respectful. He's also good for a laugh. I am a patient of *Dr. Lupin for 30 yrs. He's the best! Dr. Lupin is a Wonderful Gynocologist! Dr.Lupin has been my dr for many years....very thorough and professional. Love all staff. Kind, professional, and caring. *Dr. Lupin has been outstanding to me... I have been going to him over 20 years! Dr. Lupin was knowledgeable , gentle and sweet. I just switched to this doctor and I am very pleased with my decision!! Dr. Lupin is professional, thorough, and courteous. I love doctor Lupin. He is the first male gynecologist I have seen in my life and I feel very comfortable with him. *Dr. Lupin is very thorough! Dr. Lupin is a great doctor. Very understanding and very helpful. I have known him for many years and have referred many of my friends to him.